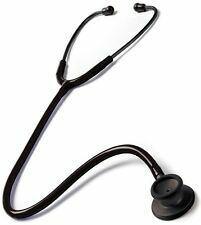 Prestige Medical Clinical Lite Stethoscope * EVERY COLOR * Over 570 sold! Output:red laser straightly(650nm). Concentricity positioning. laser test tools. cable lenth:about 135mm. Product information. Use for DIY or robots. (Can work with PWM! 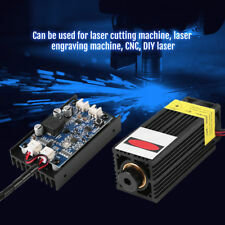 This is an exclusive engraving laser. TTL function depends on your engraving machine signal. 10)Lens: Glass. 2) Output Power: 5000mW (Typ.). ;8000mW (Max.). 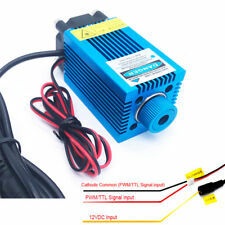 15W 450nm Blue Laser Module with Heatsink for DIY Laser Engraver Machine. This is a 15W laser module that could give out 450nm blue laser light. Laser Wavelength: 450nm (blue). Output Power: 15W. TypeBlue Laser Module. Made of chrome plating.Elaborate made and defect free.Shiny and elegant appearance.Product DescriptionColor: Silvery whiteMaterial: Chrome platingPermissible Error: /-0.003gItem Size: (L * W * H):0.5 * 0.5 * 0.8cm / 0.2 * 0.2 * 0.3in (1g)0.6 * 0.6 * 1.1cm / 0.23 * 0.23 * 0.43in (2g)0.9 * 0.9 * 1.7 cm / 0.35 * 0.35 * 0.67in (5g)1.3 * 1.3 * 1.5cm / 0.5 * 0.5 * 0.6in (10g)1.5 * 1.5 * 2 cm / 0.6 * 0.6 * 0.8 (20g)Item Weight: 1g / 2g / 5g /10g / 20gPackage List:1 * 1g Scale Weight1 * 2g Scale Weight1 * 5g Scale Weight1 * 10g Scale Weight1 * 20g Scale Weight Brand Unbranded MPN Does not apply UPC 190268038393 EAN 190268038393 EAN 190268038393. 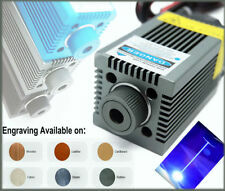 15W 450nm Blue Laser Module with Heatsink for DIY Laser Engraver Machine. 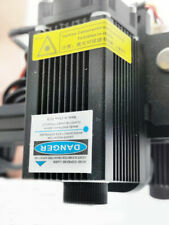 This is a 15W laser module that could give out 450nm blue laser light. Laser Wavelength: 450nm (blue). Output Power: 15W. 1 x Laser Module. Design for engraver printer machine, suitable for NEJE 1500mW engraver only. 1500mW blue-violet light laser, higher speed, support more types of materials. Power: 1500mW Light Color: Blue-violet light. Origin: Japan Nichia. Pulse power: Full 1W. Working current: 1.7A. Center wavelength: 520 nm. Color output Typ. : Blue - 445nm. For focusing requires 445nm three Layer coated glass focusing lens - NOT included. This laser diode emit high intensity visible light which can be hazardous to the human eye. Wavelength: 405nm. 20mW laser diode life: 50000 hours. 5mW laser diode life: 30000 hours. 10mW laser diode life: 10000 hours. ● 7x Mixer Stir Bar. I send goods within 12 hours. We provide the boom stand only. This is not a complete system. A microscope head with optics is needed. You provide the head. 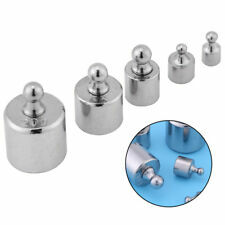 We have several types of adapters to fit a variety of microscope heads. 100 Gram Scale Calibration Weight Chrome Check the accuracy of your triple beam or digital scale with this 100 gram chrome plated calibration weight. OIML Class M1 Accuracy of 10mg (.010g) The weight measures 1 1/2 inches high by 1 inch wide It is New and unused. Brand Unbranded MPN Does not apply UPC 191466087800 EAN 191466087800 ISBN 191466087800. MDF MD One Premium Stethoscope - Rose Gold (White). The Rose Gold MD One Stethoscope not only looks gorgeous, but it also works hard, because you need it to. Auscultate in luxury and pick up crisp, clear heart, lung, and bowel sounds. (1)4.75W (typ.). 450nm-460nm TO5 9mm Laser diode mounted.The didoes can be taken out by heating the bank. 2)The diodes mounted with ball lens which is removable. ◈ CO2 F-Theta Lens. CO2 Lens & Mirrors. ◈ Focusing Collimating Lens. CO2 Laser Tube. CO2 USA ZnSe Focal Lens Dia. ◈ Laser Cutting Head. 20mm CO2 Laser Lens FL: 2"/50.8mm ZnSe Focal Lens for Cutting Engraving 10.6um. Upto 2w 450nm blue beam output. USED 200h m140 m 2w blue laser diode. blue beam blue laser diode - pre-used, so able price less expensive than unused laser diodes. laser diodes ,laser modules, laser mirrors and optics. Good quality weights Amount: 1 Smooth chrome On top of the weight is provided with the corresponding weight. New quality 100 gram calibration weight, a pocket scale for every need. package content:1 x weights Note:Light shooting and different displays may cause the color of the item in the picture a little different from the real thing. The measurement allowed error is /- 1-3 cm. Brand Unbranded MPN Does not apply UPC 4894462213834 EAN 4894462213834 ISBN 4894462213834. Color output: 445nm - Blue. For focusing requires 445nm three Layer coated glass focusing lens - NOT included. Known as "M-Type M140". This laser diode emit high intensity visible light which can be hazardous to the human eye. Material : PTFE and high-quality permanent magnet magnet. 1 8mm 35mm. Widely used in petroleum, pharmaceutical and chemical education research, analysis room to do a stirred solution of use. 1 7mm 25mm. Quantity: 5pcs (20g, 10g, 5g, 2g, 1g). Compact, high-performance design. This is a must have for anyone with a pocket scale. Color: silver, as picture shows. Output: 100mW. Duty cycle: 2 hours on, 5 minutes off. We are committed to resolve all issues in a friendly and satisfactory manner. We will help you as soon as possible. We will solve the problem asap. TTL function depends on your engraving machine signal. 5 TTL signal input: 0V ON/5V OFF. Can work with PWM and Gift PMW Regulator and Google. 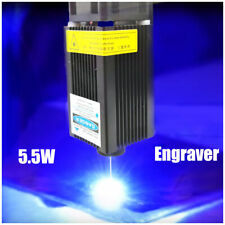 This is an exclusive engraving laser. 9 Lens: Glass Optic. Quantity: 5pcs (20g, 10g, 5g, 2g, 1g). Compact, high-performance design. This is a must have for anyone with a pocket scale. Color: silver, as picture shows. Top quality, largest selection, best value. Trending at C $2.11eBay determines this price through a machine-learned model of the product's sale prices within the last 90 days. Material : PTFE and high-quality permanent magnet magnet. 1 9mm 35mm. 1 4mm 8mm. 1 8mm 20mm. 1 8mm 28mm. 1 8mm 30mm. Widely used in petroleum, pharmaceutical and chemical education research, analysis room to do a stirred solution of use. 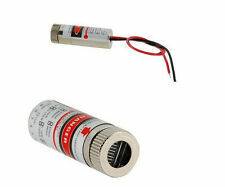 1 X 450nm 15W laser module with TTL / Analog Driver board. Output Power: 15W pulsed. 2.5W Blue laser module for Laser Cutter Engraver 5W Blue laser module for Laser Cutter Engraver 5.5W Blue laser module for Laser Cutter Engraver. This adapter allows using RMS thread (.8"X 36tpi) objectives. This is cone-shaped adapter with 52mm cone height. We will do our best to resolve problems for you. Lens Adapter Suit For RMS Royal Microscopy Society Lens toM42 Mount. Inside Thread: RMS. 1x Lens Adapter Suit For RMS Royal Microscopy Society Lens toM42 Mount. RMS(Royal Microscopy Society) lens. At the other end, it has a standard male M42mmx1mm male thread to connect to your 42mm adapter. Features: 100% Brand new and high quality! Made of high quality material, professional and accurate. Light weight and portable, convenient to carry. 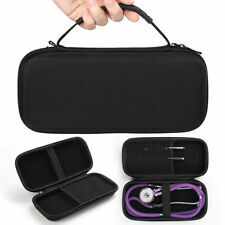 PVC protective cover and soft ear-plug makes it comfortable to use. Have two heads, suitable for adult and infants.